You may still remember that UUGear’s first product was a 7-port USB hub, which had been launched at year 2014. 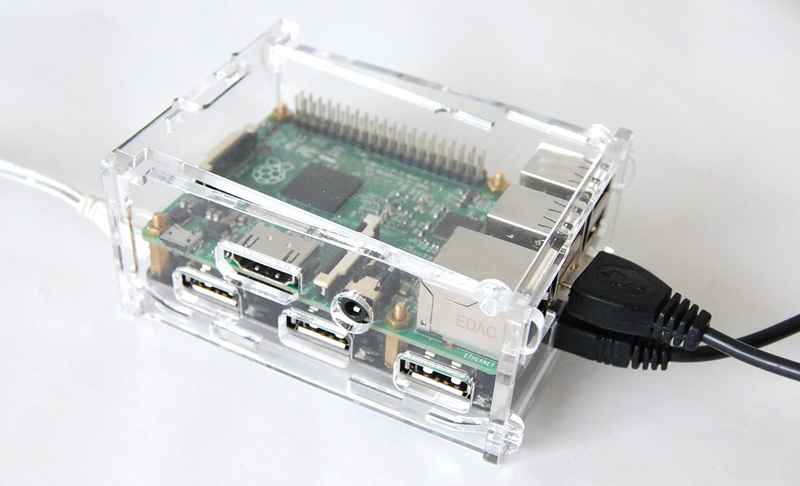 Comparing to the old version, this new version of 7-port USB hub is compatible to all Raspberry Pi models, including model A, B, A+, B+, 2B and the newly released Raspberry Pi Zero! 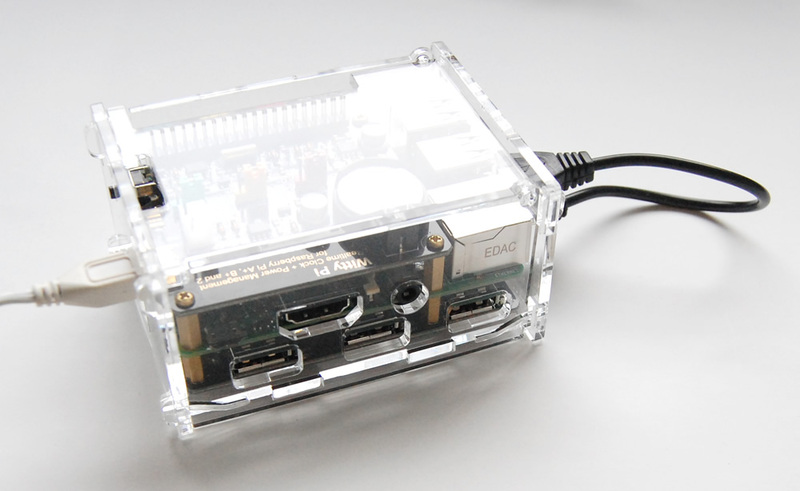 This USB hub has the same size with Raspberry Pi A, B, B+ and 2B, and has mounting holes for different models of Raspberry Pi. This USB hub has multiple transaction translators (MTT), which support USB 2.0 high speed transactions (480 Mbps) on each USB port. The 7 USB ports are symmetrically placed aside the 3 edges, giving more room for each USB port and avoid the collision between connected USB devices. 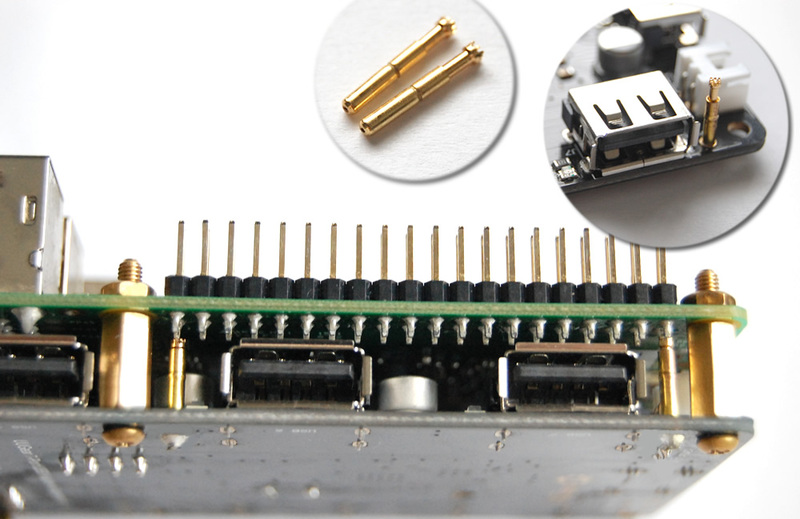 Two mountable pogo pins are also included in the package, and could be optionally used to back-power your Raspberry Pi when back-feeding from upstream USB port is not supported (Raspberry Pi B+ and 2B). 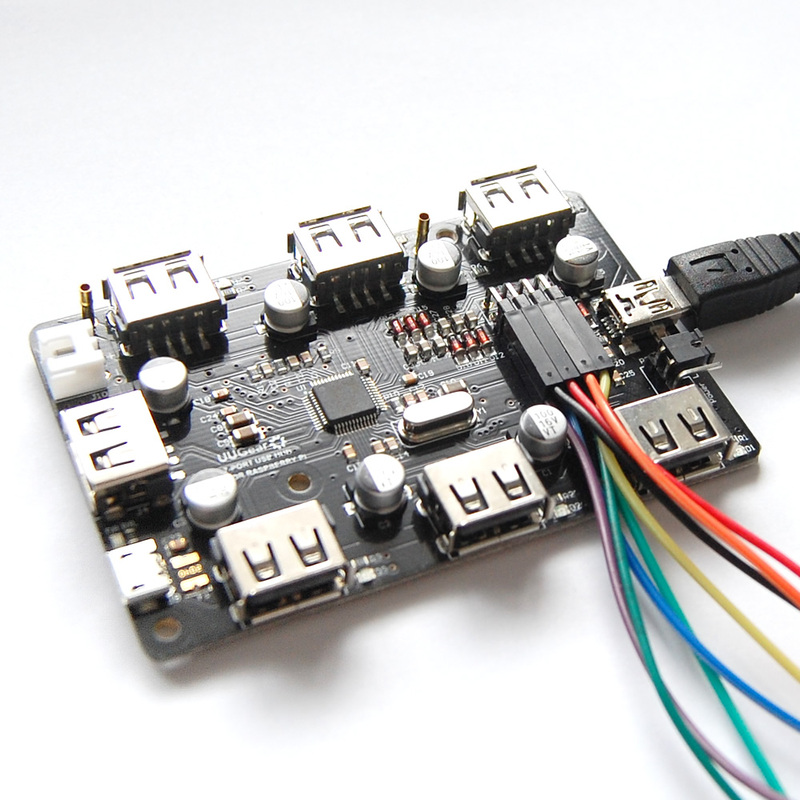 The 7 output pins on board could be used to electronically monitor the port usage status. They are in 3.3V level and can be directly connect to the GPIO pins on Raspberry Pi. If you are interested in more details about this product, you can check its product page, or view its user manual. 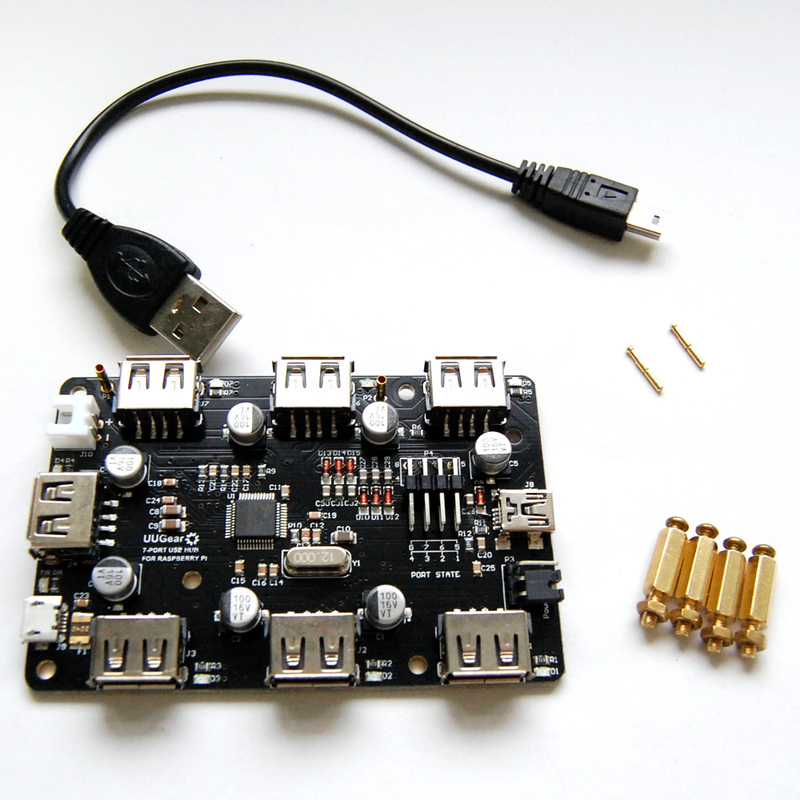 The price for this USB hub is 480 CZK (~20 USD, or 17.7 EUR, or 13.9 GBP). It is in stock today and you can order it from our store.